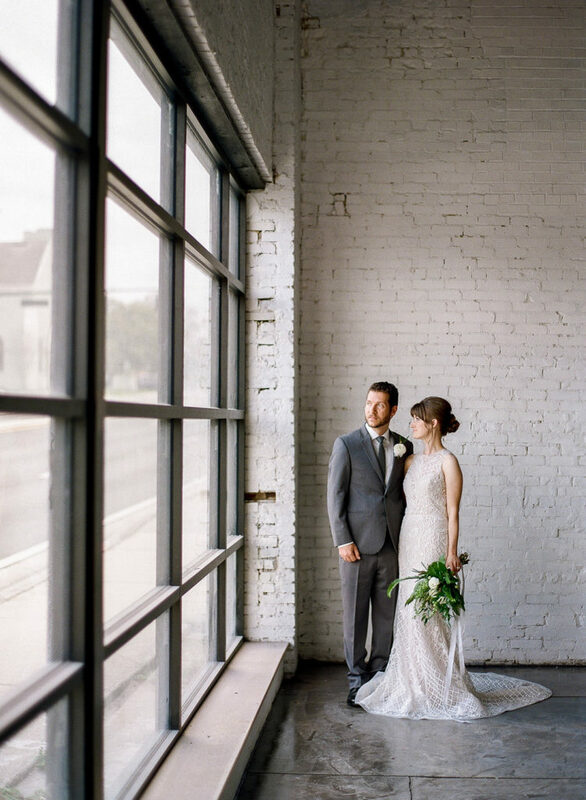 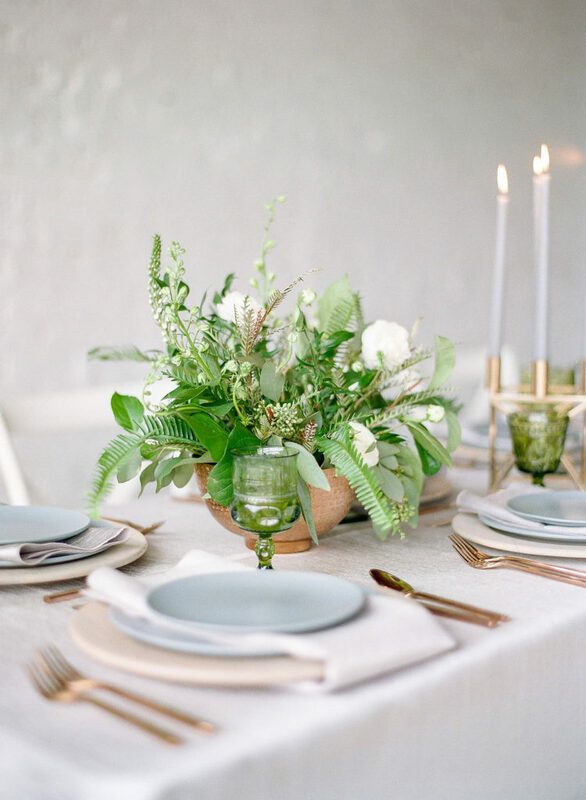 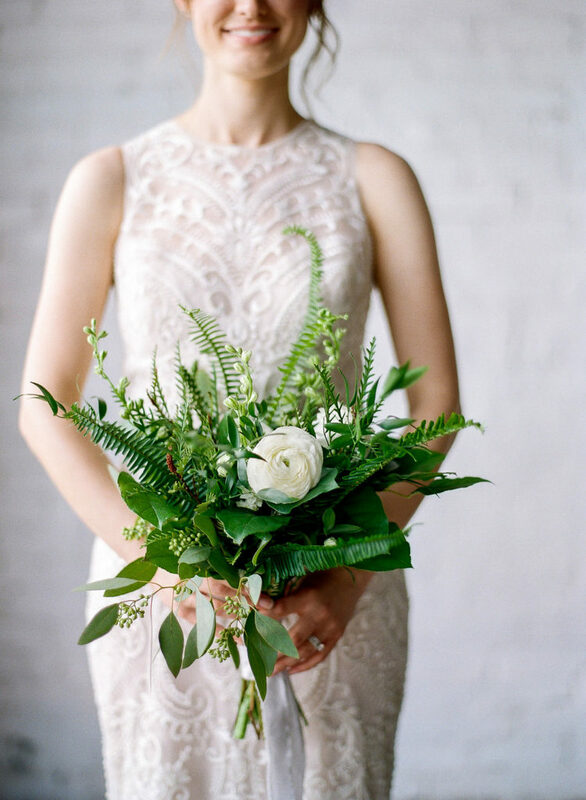 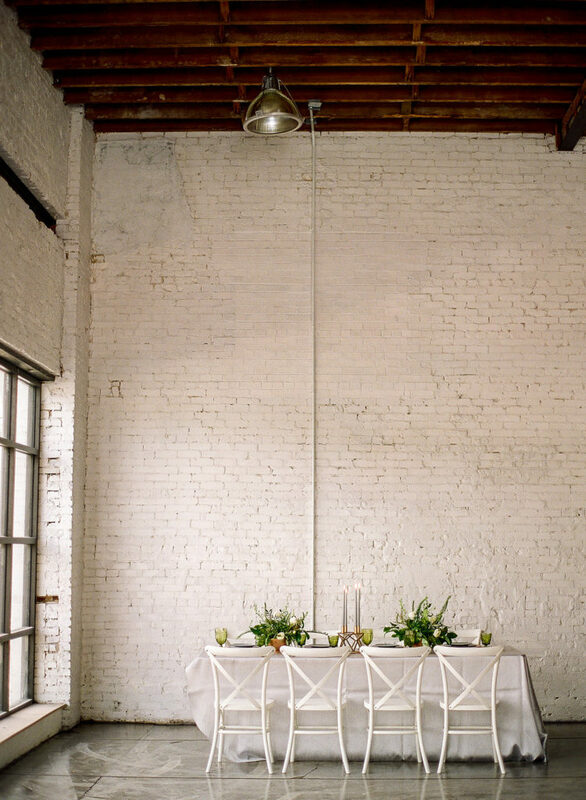 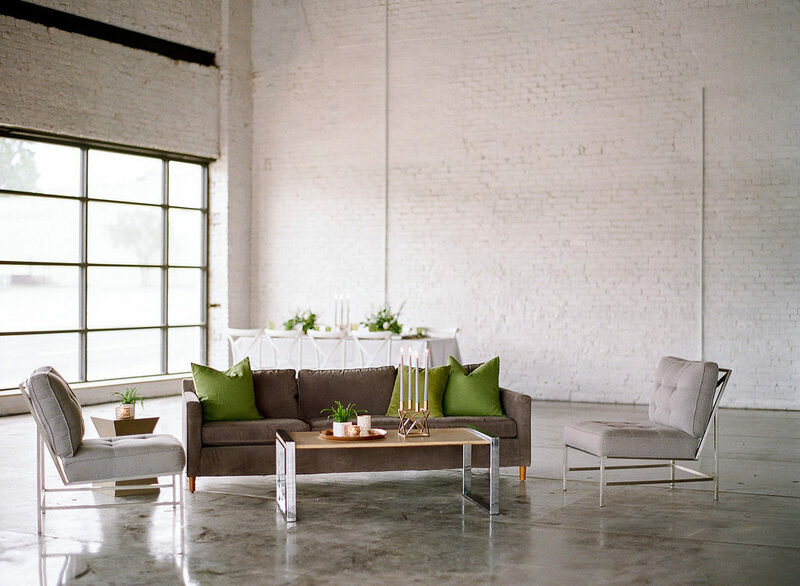 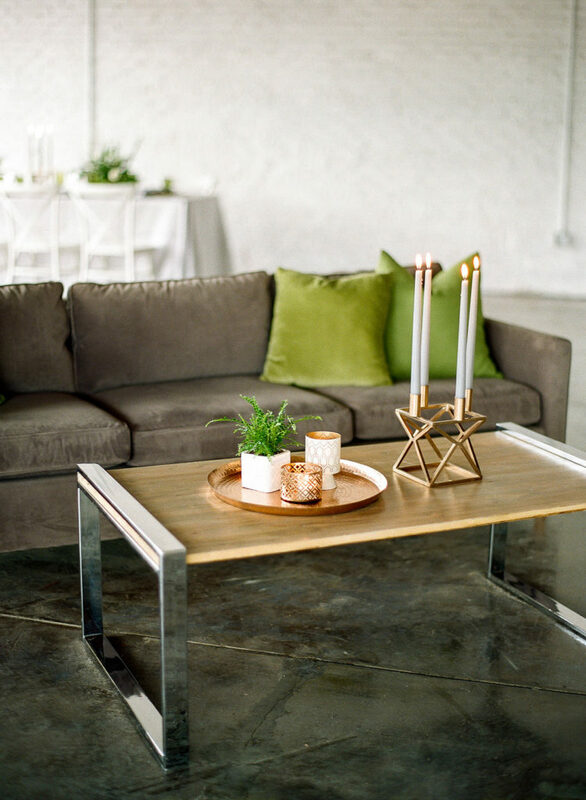 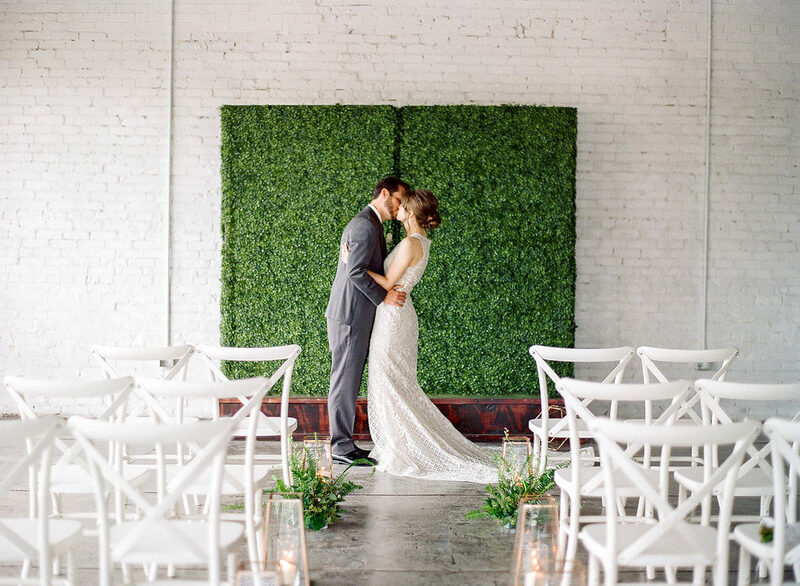 AMBER VEATCH DESIGNS and THE GANEYS created this beautiful Modern Greenery Styled Shoot, they focused on Haus 820`s clean, industrial lines. 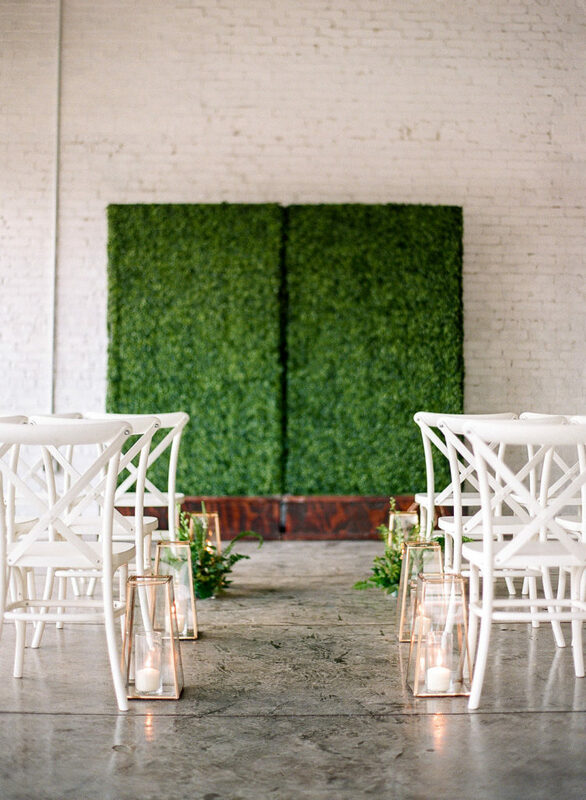 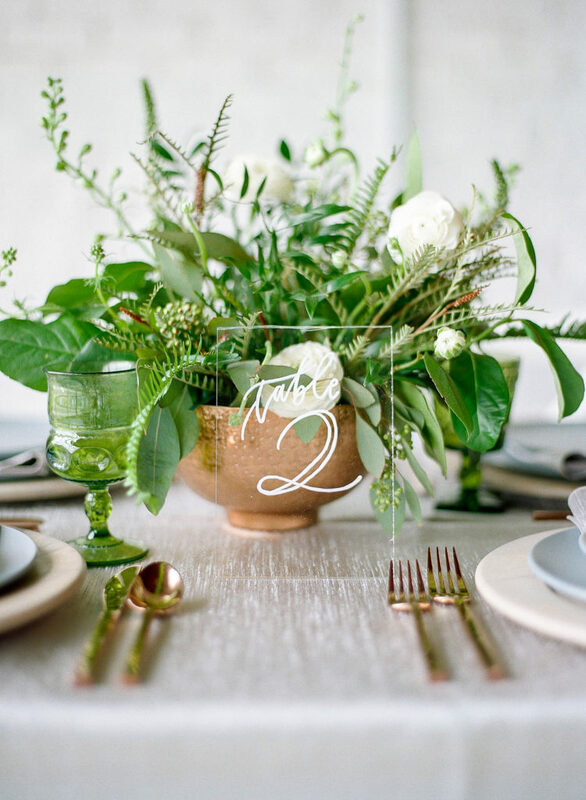 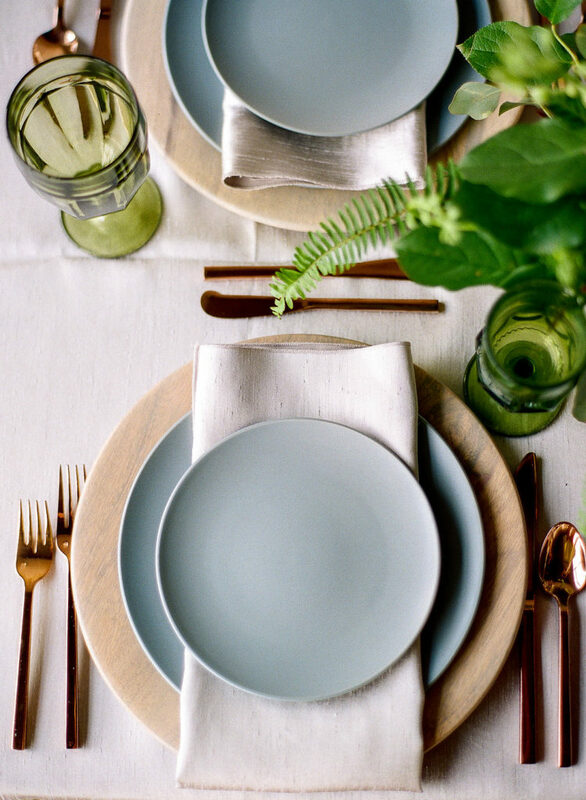 The team created a simple, elegant color palette, filled with greenery, graphic details and textures. 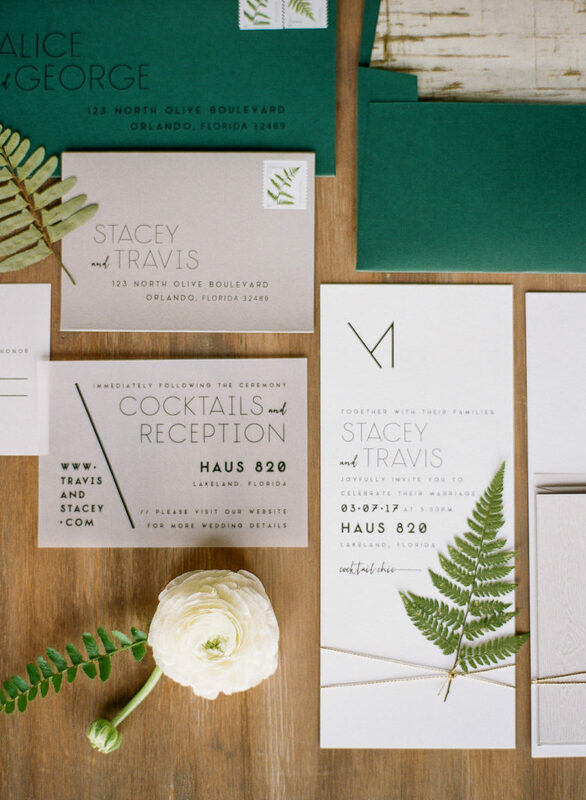 AMBER VEATCH DESIGNS used Fern-centric florals to compliment ELEVEN NOTE´s modern invitation suite with graphic type and emerald envelopes. 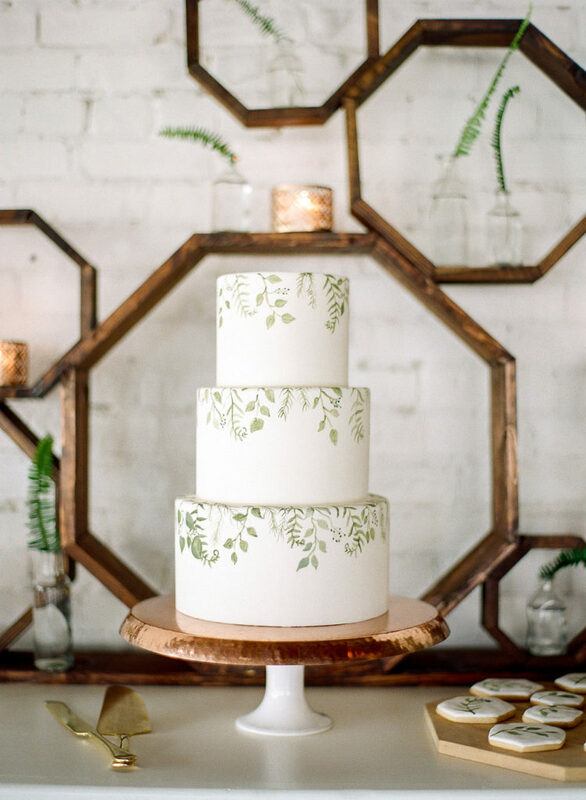 HANDS ON SWEETS provided sweet treats displayed on a wood installation from A CHAIR AFFAIR, all captured in a beautiful way by THE GANEYS and Rad Red Creative. 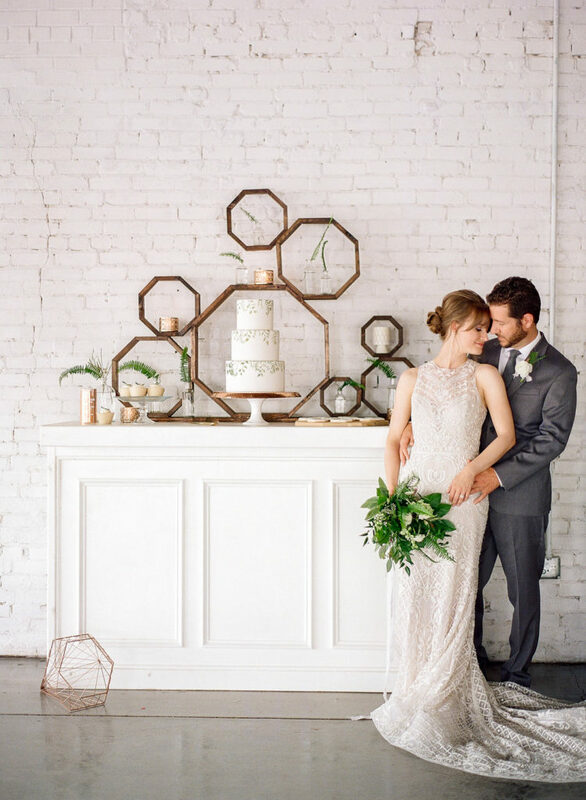 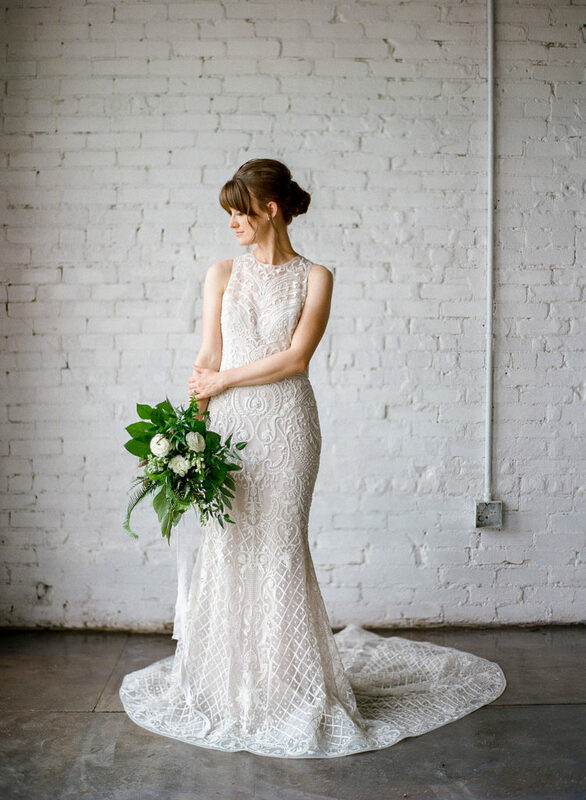 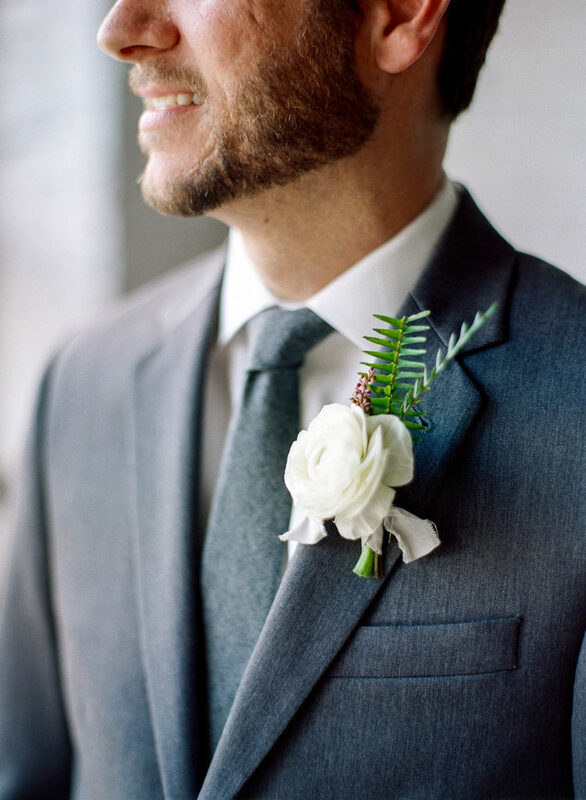 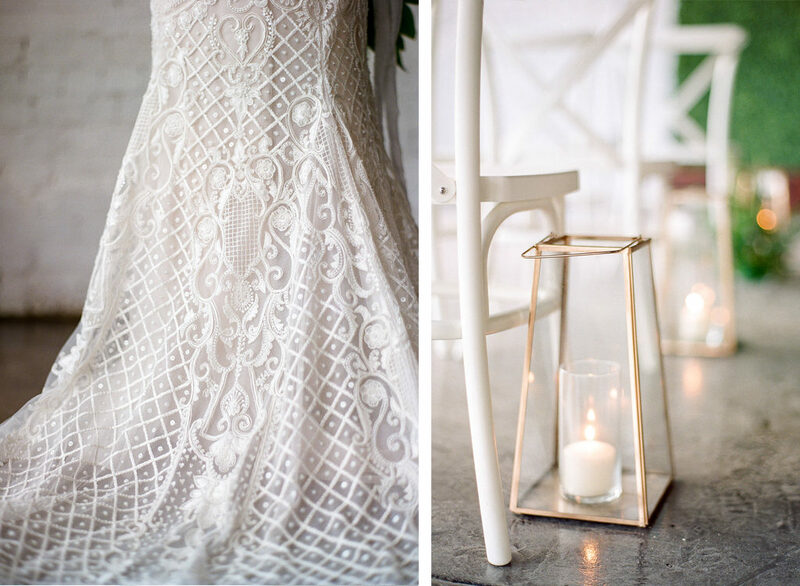 Featured in Grey Likes Weddings.